Conley, the founder of Joie de Vivre hotel chain, talks to us about how the near-death of his business changed his outlook on leadership, why managers put too much emphasis on money and not enough on meaning, and why it’s more important to climb the employee pyramid than the corporate ladder. Chip Conley has a blind spot: The closer you work to him, the less likely he is to recognize your efforts. So Conley, the founder of Joie de Vivre hotel chain, deliberately designed structures to instill a culture of recognition in his company. Conley is the author of three books, most recently Peak: How Great Companies Get Their Mojo from Maslow. In this Q&A, Conley talks about how the near-death of his business changed his outlook on leadership, why managers put too much emphasis on money and not enough on meaning, and why it’s more important to climb the employee pyramid than the corporate ladder. Kermit Pattison: Let’s go back to the dark days of 2001. You had all your hotels in the Bay Area and when tourism tanked after 9/11; you joked you were most vulnerable hotelier in the USA. How did that shape your philosophy about business leadership? 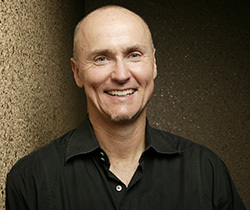 Chip Conley: No doubt, when you’re most on trial you are forced to be your most ingenious. Between the dotcom bust, 9/11, the wars, and the recession, I could see our company was on the verge of going out of business. I ended up in a local bookstore looking for a business book to help me get through it. I quickly ended up in the self-help section. That’s how I got reacquainted with the work of Abraham Maslow, a famous American psychologist from the mid 20th century. Maslow looked at psychology not from the model of deficiency, which is what most psychologists look at, but from a best practices model: What if we study people who are fulfilled and what he called self-actualized? I liked that as a business guy so I started using Maslow’s hierarchy of needs pyramid for a model of how we connect to the higher needs of our employees, our customers and our investors. How did that make you rethink how you manage people? In a recession, we all get fearful. The most contagious emotion in most companies is fear. Most companies do such a poor job communicating that most employees get stuck in a place of survival and don’t have a lot of room for creativity, innovation, or ingenuity. We took the Maslow pyramid and turned it into an employee pyramid with three basic themes: survival the base, succeed at the middle, and transformation at the top. Applying that to employees, it’s money, recognition, and meaning. Do companies often misjudge employees by assuming that compensation is their primary aspiration? Every survey that’s been done in the U.S. tends to show money is not the primary, secondary, or third; It’s fourth place on why people leave their jobs. The primary motivator of disgruntlement at work is the feeling of not being recognized. People join a company and they leave their boss, as Marcus Buckingham said. The bottom line is the ultimate motivator that says “I gotta to out of here” is not that you’re underpaid, it’s that you feel under-respected or under-recognized. There’s a lot of research that shows that. Unfortunately, the practice of management tends to not take account of that. How did you nurture a culture of recognition in your company? The closer you are to me in our organization, the more senior you are, the less I give recognition. I give recognition readily and heartily to people at line levels in my company, but when you’re senior level, I treat you like I treat myself. Those of us in senior levels in the company have a history of treating ourselves like machines. We used to have a weekly executive committee meeting. Back in 2002, frankly those meetings were depressing. We were in an industry that was falling apart. We were in a hard-hit region of the country. We’d spend two hours talking about troubles. We decided to change the meeting so the last 10 minutes we focused on recognition. I said, “I want you folks to show up with examples of someone out in the field who deserves some recognition and why.” Over time, almost everybody raised their hands with a good example. There were three things that came out of this. Number one, we ended our meetings on a positive note. It helped each of us senior executives feel like, as much as we’re in trouble, there’s a lot of good things happening too. There’s a lot of crap that builds up in an organization when things are tough and you create great psycho hygiene by cleaning all the crap out of the way. Number two, we were creating an environment of recognition throughout the organization. If you create that sort of positive feeling, all of a sudden you find that some of your employees start recognizing each other more. Thirdly, one of the rules was the person who gives recognition needs to be from a different department than the person being recognized. It helped create some cross fertilization between departments. How did you help employees find inspiration and meaning? As you go higher up the pyramid, the more abstract it gets. If you go to bed tonight and ask yourself, “Was I self actualized today?” it’s a much harder question to answer. That’s why, generally speaking, managers tend to manage from the bottom of the pyramid. Compensation is easy to benchmark and measure, whereas measuring meaning is about as difficult as it gets. We started asking questions in our twice annual work climate surveys and measuring things at the top of the pyramid that could give us a sense of how to benchmark ourselves over time on this question of inspiration and meaning. Then we started doing exercises with employees to help connect them to meaning. Most companies do offsite retreats with managers. We do that with our line level employees. We’ll take the housekeepers, the front desk staff, the bellmen, and managers offsite for the day, which is a great way to make employees feel engaged and have a voice. Additionally, every couple of years we do an offsite retreat with all our housekeepers. In one exercise, we got groups of eight housekeepers at a table and asked an abstract question: if someone from Mars came down and saw what you were doing as a housekeeper in a hotel, what name would they call you? They came up with “The Serenity Sisters,” “The Clutter Busters,” and “The Peace of Mind Police.” There was a sense that people were doing more than just cleaning a room. They were creating a space for a traveler who was far away from home to feel safe and protected. So instead of just cleaning a bathroom or vacuuming, they thought of their jobs as caring for people, which is more likely to be inspirational? That’s right. At the end of the day, all this is all about making human connection. We could have a robot some in and clean your room, but it’s not going to be the same experience as someone who smiles at you when you walk down the hallway and knows a little bit about you. How do you increase the odds of employees having what you call peak experiences? If you hire the right people, it’s a lot easier. We actually evaluate our managers on a combination of both results and relationships. Relationships are an intangible that sometimes get lost in the process of evaluating the effectiveness of a manager. You look at manager say, “Hey great P&L or great cash flow statement,” but if the way they got that was to fire half their staff, piss off customers, or charge them so much, that’s not a sustainable business strategy. Generally speaking, sometimes being able to measure relationships with customers, employees, or vendors is better way to get a sense of the long term sustainability of the effectiveness of a manager or leader. Your company had to codify new ways of managing employees. When changing habits, how mindful or disciplined does a company have to be? Everything we’re talking about is common sense. People will nod their heads and say that’s great. The problem is we just don’t do it. How do you create the rituals or habits that actually ensure that it gets done? Every corporation has an operating manual. There are a lot of things that are expected but we did almost nothing as a company that actually codified recognition beyond the formalized kinds of things you do in many companies–employee of the month or the annual holiday party when we’d give away a bunch of rewards. That’s fine, but at the end of the day that’s expected by employees and people almost turn off to it because it seems so regimented and formulaic. What really is meaningful to people is genuine appreciation shown in real time. My basic belief is that life and business is all about where you pay your attention. Let’s pay some attention in our management and leadership to the idea of recognition. It’s not just platitude. It’s something we expect, and here are the tools you have to do it. You’re very mindful in your approach to your business. To what extent have you tried to be a student of yourselves? Peter Drucker lived to age 94 partially because he had a very fresh and curious mind. Every year he would come up with something new to learn, whether it was Japanese Ikebana or Revolutionary War history. I like to consider that same perspective on our company and its philosophy of management and leadership. How do we study other companies, use their best practices and apply it to ourselves? How do we do our own deep dive, psychologically and sociologically within our organization, to understand why we exist and how we’re tapping into the hearts and minds of people within our organization? It does require a certain amount of reflecting. Sometimes this stuff doesn’t make you feel good. And sometimes there will be people in your organization, or investors in hotels we manage, who say, “Just get over it.” The knock on this is that it’s just too soft. My response is, it depends on your industry. If you’re in service, you’re in a soft industry. The reason people succeed in service has everything to do with the soft side of management. You made your business building idiosyncratic hotels with distinct personalities. If Abe Maslow came back from the dead and was your guest, where would you put him up? God, I’m lucky enough to have the journals of the last 10 years of his life. I’d probably put his journals by his bed and say, “Hey you want to read what you wrote the last 10 years of your life?” Maybe an altar with his books. Which of the hotels? Probably the Hotel Vitale. The name came from the Latin word “to be vital” and live your life vitally. That’s what Abe Maslow really spoke to. How does each of us live life to the fullest?